This is the page where all my readings, ramblings and late night postings reside. Some of this is posted by email so please excuse the brevity or lack of information on some posts. Trust Me, I’m Lying: Confessions of a Media Manipulator is the bestselling book by marketer, public relations director, and media strategist Ryan Holiday. If you haven’t grasped the new wave of “marketing” the books Ryan Holiday has written will introduce you to the way small businesses have exploded on the market with little or no budget for marketing. 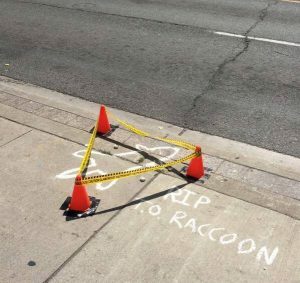 Rest in peace, Lil’ Bandit (AKA DeadRaccoonTO). RIB or REB* DeadRacconTO. Those paws. So delicate en beurre. 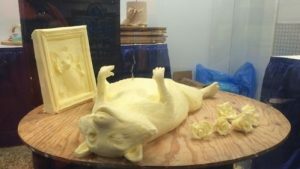 Not sure which is better, Rest in Butter or Raccoon en Beurre? Did you ever have one of those days where you did something, maybe even something quite unremarkable, yet it has the potential to alter your life forever. Love is the Killer App shows how you can become a lovecat – a nice, smart person who succeeds in business and in life by sharing your intangibles. A Primer on the Future of PR, Marketing, and Advertising.